Packet drivers for network adapters WiFi 802.11b/g/n the company Realtek. Drivers support the work with operating systems: Windows XP, Vista, Windows 7, Windows 8, Windows 8.1 Blue at 32 or 64 bits. 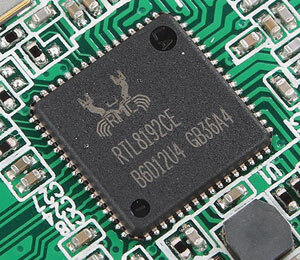 "RTL8192CE Realtek Wireless LAN 802.11b / g COMBO PCI-E"
"RTL8191CE Realtek Wireless LAN 802.11b / g COMBO PCI-E"
"RTL8188CE Realtek Wireless LAN 802.11b / g COMBO PCI-E"
"RTL8192CE Realtek Wireless LAN 802.11b / g PCI-E"
"RTL8191CE Realtek Wireless LAN 802.11b / g PCI-E"
"RTL8188CE Realtek Wireless LAN 802.11b / g PCI-E"
"RTL8192CE Realtek Wireless LAN 802.11n COMBO PCI-E NIC"
"RTL8191CE Realtek Wireless LAN 802.11n COMBO PCI-E NIC"
"RTL8188CE Realtek Wireless LAN 802.11n COMBO PCI-E NIC"
"RTL8192CE Realtek Wireless LAN 802.11n PCI-E NIC (TEST)"
"RTL8192CE Realtek Wireless LAN 802.11n PCI-E NIC"
"RTL8191CE Realtek Wireless LAN 802.11n PCI-E NIC"
"RTL8188CE Realtek Wireless LAN 802.11n PCI-E NIC"
"1x1 11b/g/n Wireless LAN PCI Express Half Mini Card Adapter"
"1x1 11b/g/n Wireless LAN PCI Express Adapter"
"RTL8188CE Realtek 802.11b/g/n WiFi Adapter"
"ASUS PCE-N10 11n Wireless LAN PCI-E Card"
"ASUS PCE-N15 11n Wireless LAN PCI-E Card"
"Realtek RTL8188EE 802.11bgn Wi-Fi Adapter"
"RTL8192DE Realtek Wireless LAN 802.11N PCI-E NIC MAC1"
"RTL8723AE Realtek Wireless LAN 802.11n PCI-E NIC"
"Realtek RTL8188E Wireless LAN 802.11n PCI-E NIC"
"Realtek RTL8812E Wireless LAN 802.11n PCI-E NIC"
"Realtek RTL8821E Wireless LAN 802.11n PCI-E NIC"